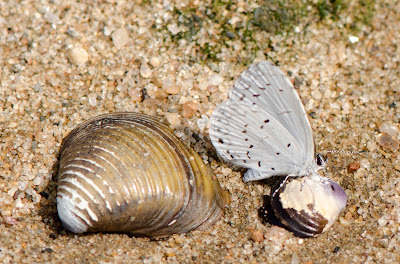 I was walking on the sandy shore of the Delaware River in South Jersey right across from Philadelphia when I noticed this little butterfly sitting on a shell. 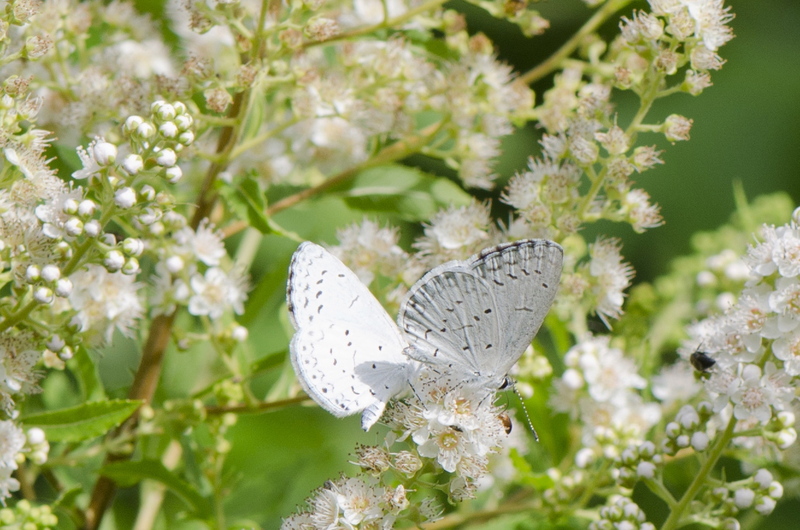 The butterfly is the summer azure, Celastrina neglecta. If you click to enlarge you can see its proboscis extended and lying on the shell so I think it is obtaining moisture and perhaps minerals. Butterflies in its family Lycaenidae are well known for a behavior called puddling; gathering in muddy places to drink and obtain minerals from the soil. I usually see summer azures on flowers like this, but I guess they sometimes just get an appetite for seafood.